MANHATTAN (CN) – The New York attorney general’s office claims a chain of pet stores knowingly sold sick dogs to customers, lied about medical treatment the animals received, and pushed customers into costly financing agreements. Tuesday’s lawsuit in Jefferson County Supreme Court follows action taken last summer, when then-Attorney General Eric Schneiderman sent cease-and-desist letters ordering Bell Pet Company LLC to refund customers whose dogs were later found to be sick and labeled unfit for sale by veterinarians. Since 2006, Bell Pet Company dba The Pet Zone has sold more than 5,500 puppies in four retail locations in upstate New York, in some cases charging nearly $4,000 per animal, according to the lawsuit filed by Acting Attorney General Barbara Underwood, who is filling the job on an interim basis after Schneiderman resigned amid accusations of physical violence against women. However, the chain of pet stores, owned by Florida residents Ted and Sheila Bell, allegedly failed to adhere to the New York’s Pet Lemon Law, misleading customers to their rights after they discovered their pets were sick. That law mandates consumers must be given the right to a full refund of a sick dog, the right to exchange for another dog of the consumer’s choosing, or be reimbursed for subsequent medical expenses up to the purchase price. “Puppies are medicated without veterinarian instruction or knowledge, records are destroyed, and the health and treatment history of the puppies are hidden from consumers,” according to the 27-page complaint. The Pet Zone stores purchase their dogs from Missouri-based Choice Puppies but allegedly kept sick dogs after inspecting them and then sold them before a veterinarian could inspect them. 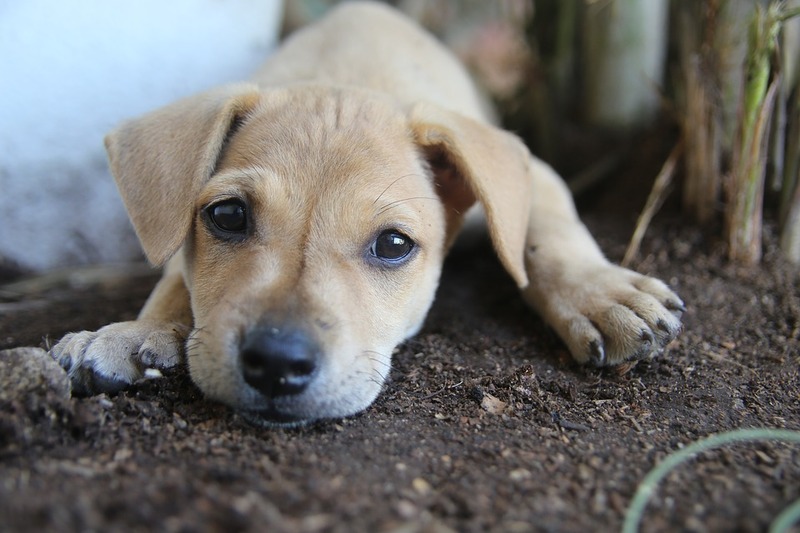 Choice Puppies, formerly known as Hunte Corporation, has been labeled a “puppy mill” and was sued in 2008 for conspiring to sell unfit puppies to consumers across several states. The complaint against Pet Zone seeks a permanent injunction barring the stores from selling any live animals in the state, as well as fines of $1,000 per violation and restitution to aggrieved consumers. The office of the attorney general’s years-long investigation into the stores has relied on testimony from current and former employees, who have claimed the stores routinely destroy evidence of sick dogs and have myriad ways to get around mandatory vet screenings. According to the lawsuit, Pet Zone employees have no experience with animal care or veterinary medicine and are given only brief on-site training, and stores fail to document polices on how to treat dogs. While Pet Zone stores claim to have a veterinarian visit every few days following a puppy delivery, they have sold potentially hundreds of puppies without first being examined, the complaint. Some former employees also reportedly told investigators that the antibiotic doxycycline and other medications were routinely given to dogs without first consulting a vet. Medication worksheets were later destroyed, and certain medical info often was not entered into the PetKey documentation system, the lawsuit alleges. Instead of following state rules regarding customer reimbursement, employees allegedly encouraged customers to return sick puppies to the store for treatment. The stores also often charged customers more than $100 in undisclosed fees for warranties and to finance purchased puppies, the complaint states, using several out-of-state financing companies and insurers. Additionally, the financing agreements were worded in such a way that customers never actually owned their pets but merely leased them, according to the lawsuit. “The total amount paid on the [financing] contracts at the end of the lease term, including the ‘purchase fee,’ is generally more than twice the original cost of the puppy,” the suit alleges, noting that owner Ted Bell estimated nearly one-third of his stores’ sales were financed through two companies. Further, store employees sometimes forced customers to seek veterinarian reimbursement through Pet Zone’s warranty company, a process that could take upwards of two months, and in some cases customers were denied reimbursement that should have been covered under the Pet Lemon Law, according to the complaint. Customers either were not told about additional charges for the PetKey monitoring system—which included training materials and microchipping for the dogs and sometimes was falsely branded using the American Kennel Club moniker—or they were told the charges were mandatory, the lawsuit states. An email sent to Ted Bell’s personal account seeking comment was not immediately returned Wednesday. A lawyer representing Bell Pet Company could not be reached for comment. “We have been and remain committed to supplying happy, healthy puppies to responsible pet parents. We look forward to vindicating our good name and are confident that the court will deliver the right result by dismissing this lawsuit,” the company said. The company’s website boasts of stringent standards to ensure puppy health. “Why do we go through our strict animal policies and have such an aggressive pricing structure? Because YOU and YOUR PET deserve a great pet store,” the website states.